My kids love sledding in the winter (and so do I, as it means we can participate in an afternoon-long activity that doesn’t involve cleaning the house). But a sledding day typically typically means that we’ll all be out in the snow for an extended period of time. We try to make a party of it and invite friends to come along. I take along goodies, hot drinks, and of course, sleds. One unhappy kiddo can ruin a good time—and being out in the elements, there are a lot of opportunities for meltdowns. 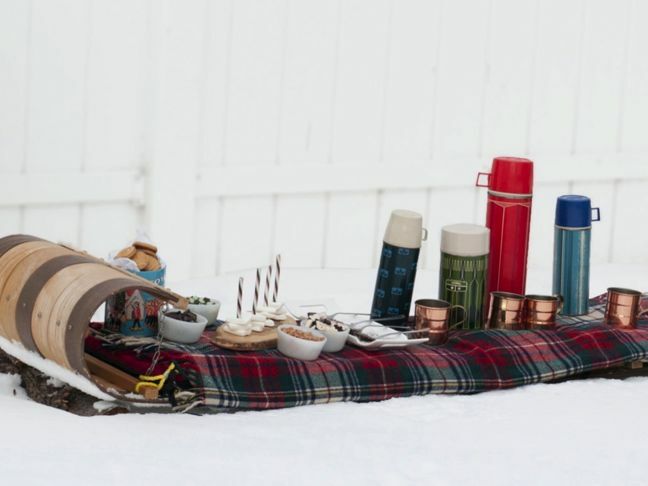 Be proactive, and bring along these items guaranteed to keep everyone at your sledding party happy. Unless a fire pit is close by, roasting marshmallows is just not feasible. 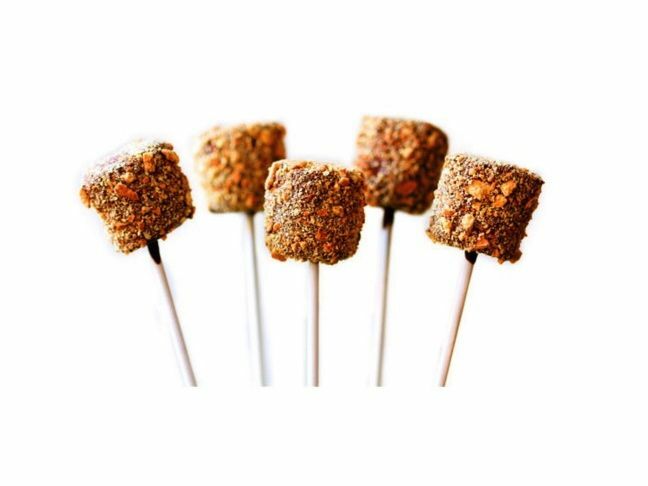 Keep the little ones happy and their fingers sticky (but not too sticky) with s’mores pops you can make ahead of time. Everyone will get their s’mores fix without the flames. Find the recipe at Gimme Some Oven. Pack hot chocolate in a variety of thermos mugs so it stays hot. I love the idea of using an old wooden sled for a hot chocolate bar like Red Stamp set up for their winter favorites photo shoot. Bring Kahlua and Bailey’s to spike the adults’ hot chocolate, and bring marshmallows for the kids’ cups. Invest in to-go paper cups for convenient hot cocoa sipping. One of my favorite (and cheap) investments I made last winter was a snowball maker. For just five dollars, snowballs have never been so round and easy to make. A snowball fight will make sledding even more fun, both on and off the hill. Nothing ruins a good day on the hill like freezing hands and toes. 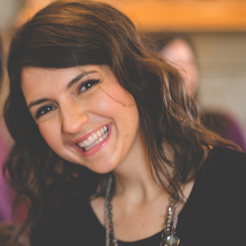 As a mom of three, I know fingers and toes always seem to be the first parts of the body that get cold, and shortly thereafter is lots of whining. 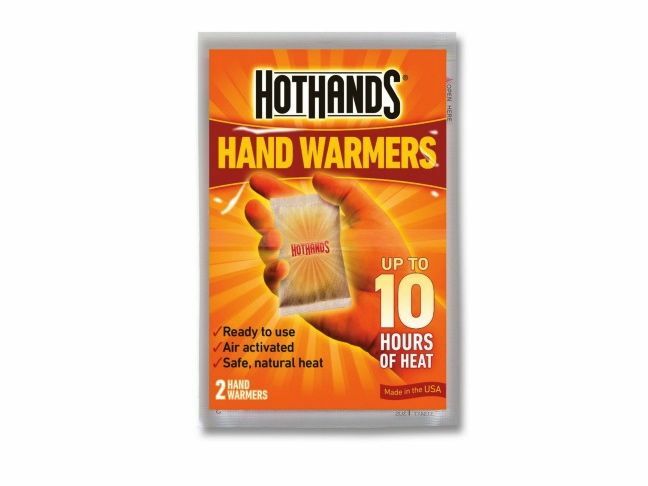 Stock up on Hothands hand warmers and foot warmers for everyone to keep warm throughout the party…and all winter long. 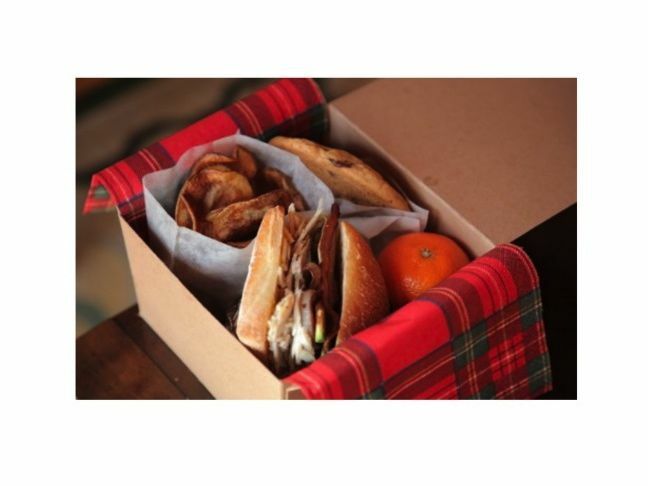 Keep it simple and prepare boxed lunches for everyone ahead of time. Pack everyone a sandwich, a piece of fresh fruit, chips in a bag, and a cookie. 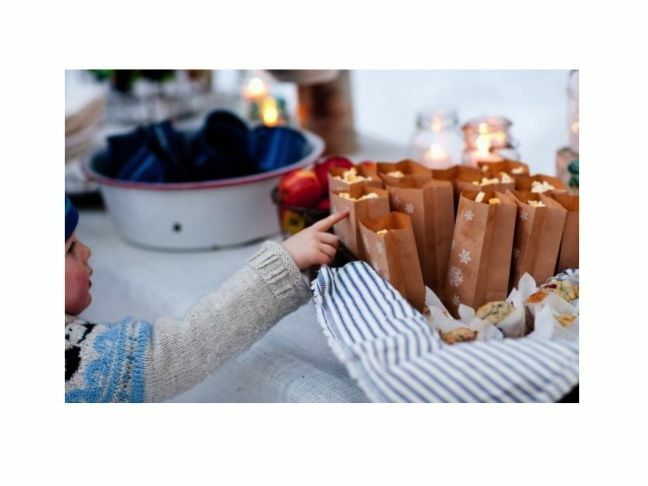 Make it extra festive with plaid napkins and bamboo utensils like Design Sponge did. The perfect favor for a sledding party is a pair of extra socks. If someone is wet and cold at the party, it’s nice to have an extra pair of socks nearby, and if your sock drawer looks like my kids’ (none of them match), an extra pair of socks is always wanted and needed. 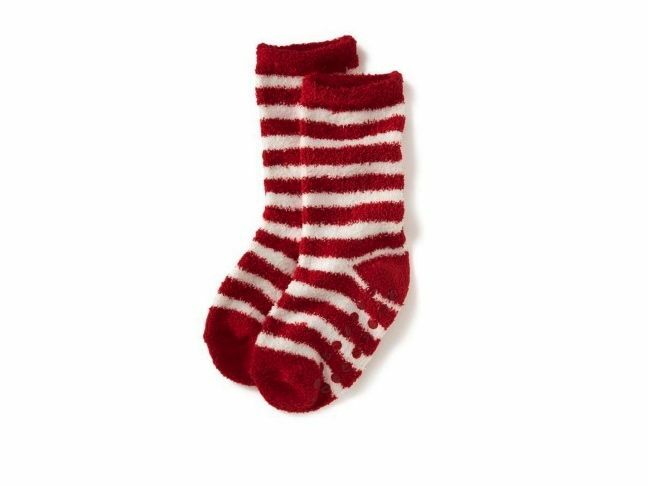 Plus, for just three dollars, these fuzzy winter socks from Old Navy can’t be beat. Try to bring an extra sled just in case someone forgets theirs or doesn’t have one. And don’t leave home without a sled for your kiddo(s). To save the day from persistent fighting among siblings, make sure everyone has their own sled. Plastic dish sleds can be found at Walmart for five dollars each, or you can go more extreme with an Infusion Wedge Snow Tube from Target. My kids snack all day long, and they love popcorn. Pack individual bags of popcorn for kids to snack on during the party. Popcorn can be made prior to the party, and it can easily be transported. Plus, it’s good either warm or cold. Cyd at The Sweetest Occasion hosted a lovely winter party, and as you can see, it kept the kids reaching for more. Music can make or break an indoor party; therefore, it can also make or break an outdoor party. Good music just puts everyone in a good mood. 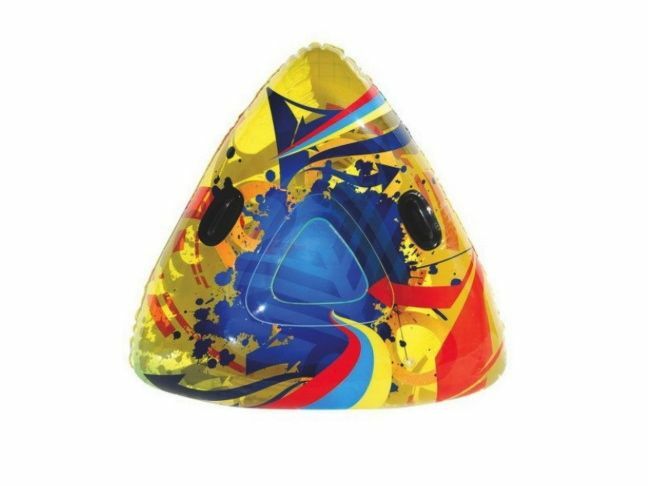 Send kids flying down the sledding hill with favorite tunes playing in the background. 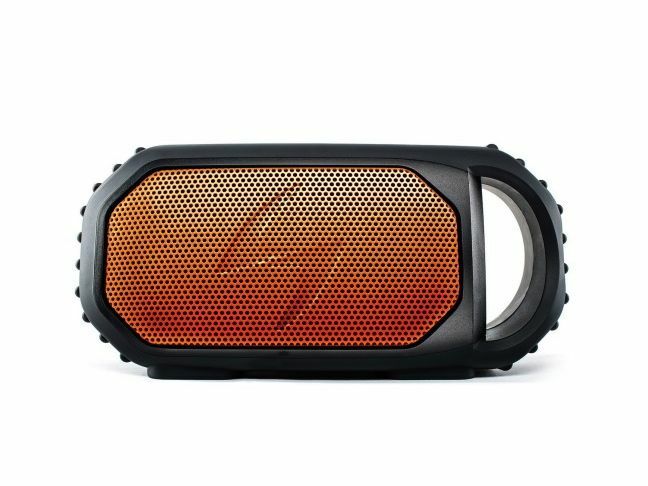 Buy an EcoSpeaker because it’s waterproof, it plugs into all phones, and it’s just plain cool.